Erik Miller from Kokomo Winery visits Steve Jaxon and Dan Berger on California Wine Country today. 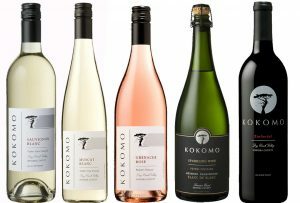 Dan discovered Kokomo when he tasted a Kokomo Rosé in 2008. It was his first Rosé, from a vineyard where he grows Grenache. His Rosé is “bone dry, or close to bone dry.” Erik likes the color of his Rosé, it is a very pale salmon-like color. It got people to realize it is dry, just by the color. They are growing the grapes intentionally to make Rosé and as soon as they pick the grapes, the key decisions start. Dan says that this grape makes the best Rosés. Most of the great French Rosés are make of Grenache at least in part. They taste a Sauvignon Blanc, held in Acacia barrels. Erik says they are good for texture, not for aromatics. Dan says this one is not soft, but crisp and dry. He has seen a lot of sweet SVs but you taste the fact that this is a dry wine. It would go very well with fish. They pick the grapes in two halves. The first harvest is more acidic and the second is fuller, richer with more tropical flavors. This is what Dan means by the strategy that begins at the harvest. Since they manage about 260 acres, they have a full time crew, which makes it easier to plan this kind of harvest. Next they taste a Muscat. They have 3/4 acre of this grape. He designed it for a late harvest. in 2017 they bottled it as a dry Muscat Blanc, which is rare. The four noble Alsatian varieties, Gewürtz, Riesling, Pinot Blanc and Muscat and Erik thinks they are great with spicy foods. Dan suggests it would be good for mild Indian curries, but a hotter curry needs a sweeter wine. Erik also brought a sparkling wine. Steve says it has a strong bouquet. Dan says it has a delicate and subtle yeast component. It is not overpowering, as it often can be. It would benefit from 2-3 years in the cellar. Dan says that sparkling wine would lose its bubbles if decanted. Erik remembers having fried chicken at a gas station which they enjoyed with a sparkling wine. It made such an impression on him that they started a regular event in July and August called “Birds and Bubbles” which is an intimate event with sparkling wine and fried chicken. 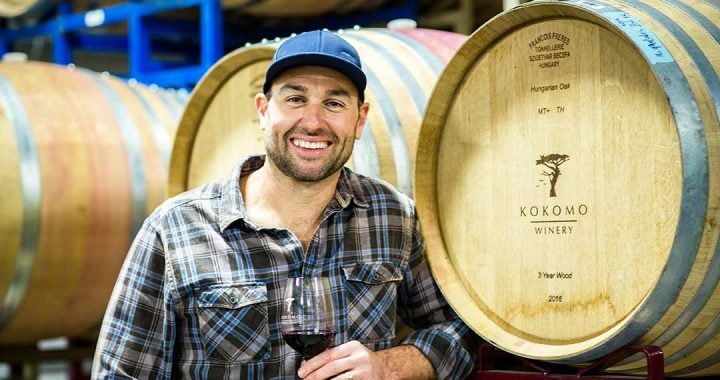 Erik talks about Hoosier Hospitality and Ross James, their tasting room manager and he encourages anyone to visit the winery and experience their hospitality. He talks about the Timber Crest Collective vineyard. 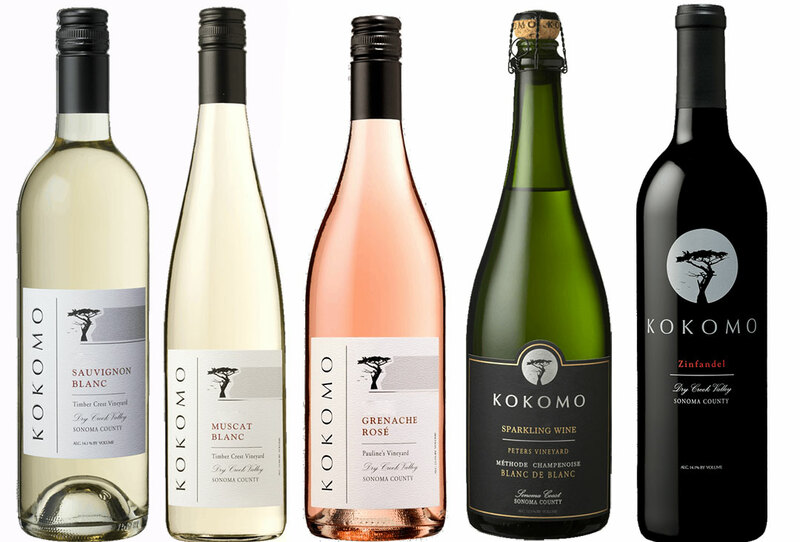 Dan says that Kokomo makes the best Rosé he has ever tasted, better even than his other favorite French one, year after year.